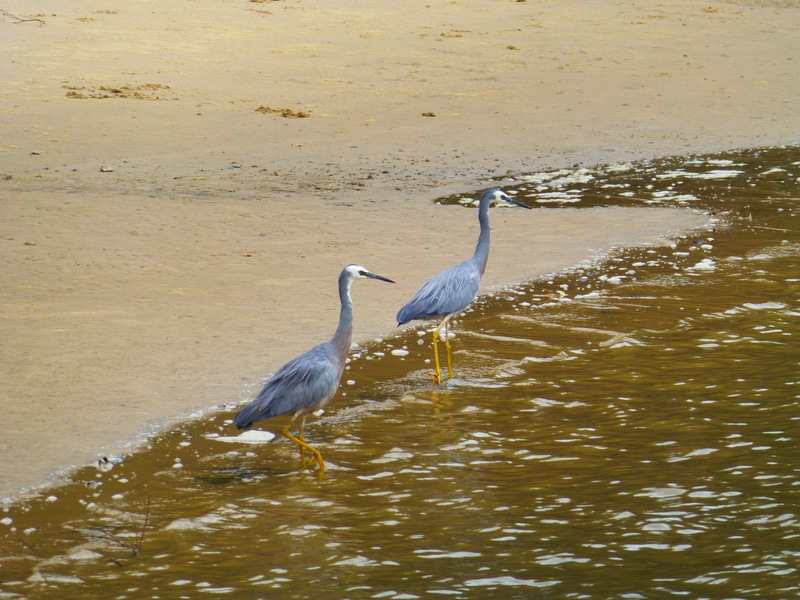 These seem to me to be a perfect match: two stately, elegant White-faced Herons strutting along the shore. Generally ,these tall birds appear to be loners at the local baths. I see them very often at low tide: nearly always solo. But this time there was a pair, and fortune favoured me by giving me a chance to record their image. 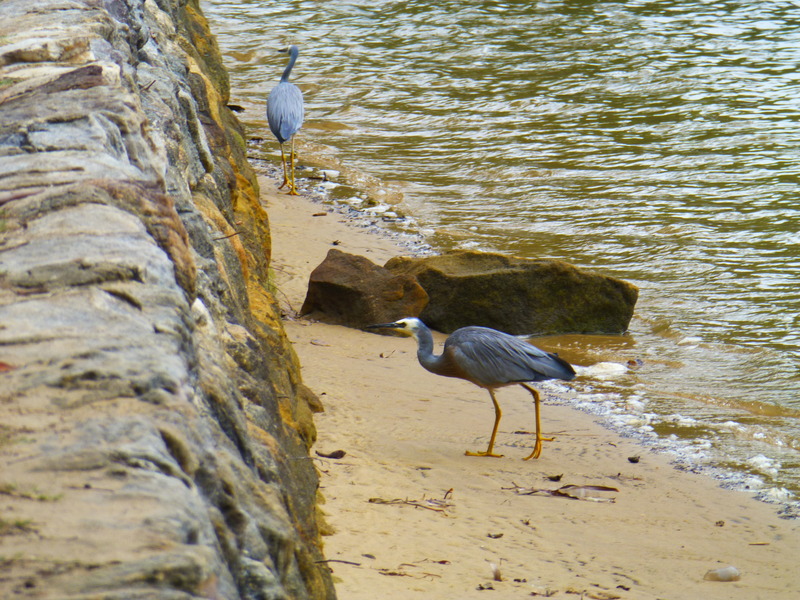 Enjoy this little tableau on the Georges River in Sydney, Australia.